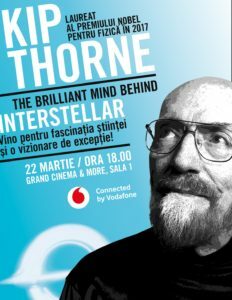 American theoretical physicist Kip Thorne, laureate of Nobel prize for physics in 2017, also scientific researcher and executive producer of Cristopher Nolan’s film “Interstellar”, is coming for the first time in Romania, on March 22. He will give a lecture at the conference “Science Behind Interstellar” on March 23, within McCann/Thiess Conferences, an event empowered by McCann/ Thiess Conferences and supported by Vodafone. The conference is due at Grand Cinema & More on March 23, starting 6 p.m., with Thorne talking about the quantum theory of gravitation, about the time travels, black holes and the singularities of time and space. 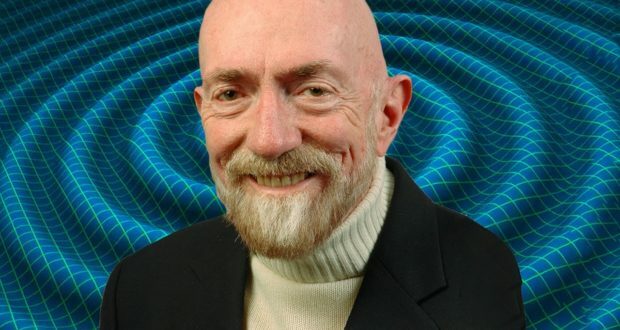 On March 22, at 11:00hr Kip Thorne will meet the members of the Romanian Academy and the students of the Physics Faculty. On March 23, at 11:00hr, he will pay a visit to the Physics Institute in Magurele to meet the Romanian and foreign researchers from ELINP, the laser in Magurele that reached the peak power, 10 PetaWatts a week ago, as a world premiere. He will talk there about the exploration of universe with the help of gravitational waves. 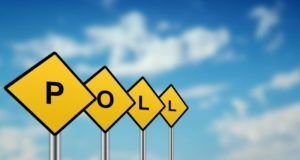 On March 23, at 14:00hr he will meet the children racing in the National Robotics Championship- First Tech Challenge at the Polyvalent Hall in Bucharest. In 2017, Thorne was awarded the Nobel Prize in Physics along with Rainer Weiss and Barry C. Barish “for decisive contributions to the LIGO detector and the observation of gravitational waves. Interstellar is a 2014 science fiction film directed, co-written, and co-produced by Christopher Nolan, starring Matthew McConaughey, Anne Hathaway, Jessica Chastain, Bill Irwin, Ellen Burstyn and Michael Caine. Set in a dystopian future where mankind is struggling to survive, the film tells the story of a group of astronauts who travel through a wormhole near Saturn in search of a new home for humanity. Interstellar received critical praise for its themes, visual effects, musical score, and acting. 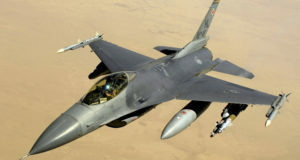 At the 87th Academy Awards, the film won the Oscar for Best Visual Effects, and was nominated for the Best Original Score, Best Sound Mixing, Best Sound Editing and Best Production Design.